Optimize your grass irrigation with the new Toro Intelli-Sense Inground Sprinkler System from Nutri-Lawn Burlington. This innovative automatic sprinkler system combines unique programming with daily satellite-transmitted weather station data to create a 100% custom watering schedule for your property. This highly sophisticated system takes the guesswork out of grass irrigation, while at the same time saving you money and reducing your water requirements. Get smart about your commercial or residential watering needs and install the new Toro Intelli-Sense Inground Sprinkler System today. The Toro Intelli-Sense automatic lawn sprinkler system incorporates advanced weather-sensing technology that accurately determines the unique moisture needs of your lawn. Designed with WeatherTRAK-enabled software, the Toro Intelli-Sense Inground Sprinkler System will create a scientifically-calculated, zone-specific baseline for your irrigation programming. This highly customized watering schedule is adjusted daily using realtime weather data from the ET Everywhere weather subscription service. With the Intelli-Sense automatic sprinkler system you'll enjoy science-based irrigation that's always accurate. The Toro Intelli-Sense automatic sprinkler system uses this data, along with the information provided by the realtime ET Everywhere weather data system to create a watering schedule that's constantly evolving and adjusting in order to ensure optimum moisture levels. 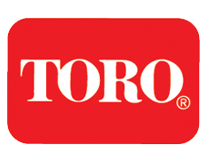 So just how accurate is the Toro Intelli-Sense system? When tested by the Irrigation Association, the Toro Intelli-Sense Inground Sprinkler System scored 100% on the SWAT test, which means absolutely no excess water was created by the system. ** All figures above are taken from an independent water meter located at the irrigation source, and can be backed up by the city of Burlington. The Torro Intelli-Sense automatic lawn sprinkler system saves you money by significantly reducing the amount of water used for landscape and grass irrigation. The scientifically-calculated watering schedule provided by the Toro Intelli-Sense will help ensure a healthier, more beautiful landscape by applying just the right amount of water every time it turns on. Since the Toro Intelli-Sense Inground Sprinkler System uses less water, it produces less urban runoff of pesticides and fertilizers for a healthier environment. The Toro Intelli-Sense Inground Sprinkler System eliminate seasonal landscape and grass irrigation chores by fully-automating your watering schedule. Simply set the self-prompting Toro Intelli-Sense controller at the beginning of the season and your work is done! The Toro Intelli-Sense automatic lawn sprinkler system is the most advanced inground sprinkler system currently available on the market. For more information on this ultra-efficient system contact a Nutri-Lawn technician at 905-632-2445.